The most important part of the Christian life is the part that only God sees! 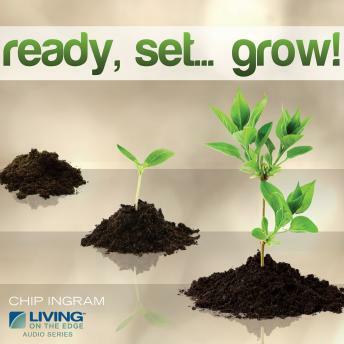 The Ready, Set, Grow series reveals the secrets of the kingdom of God for ordinary people on Earth today. Chip breaks down the Mark 4 parable and shows the heavenly meanings to the eco symbols Jesus mysteriously used centuries ago. In doing so, he provides an outline for preparing you for an adventure of a lifetime. Everyone who has found themselves numb from experiences the world offers is given hope as they learn who they really are and what really defines them. This series requires faith and obedience, along with taking God's character and His Word to a place of applying it for true transformation. The power is in the seed (God's Word), the secret is in the soil (your soul).